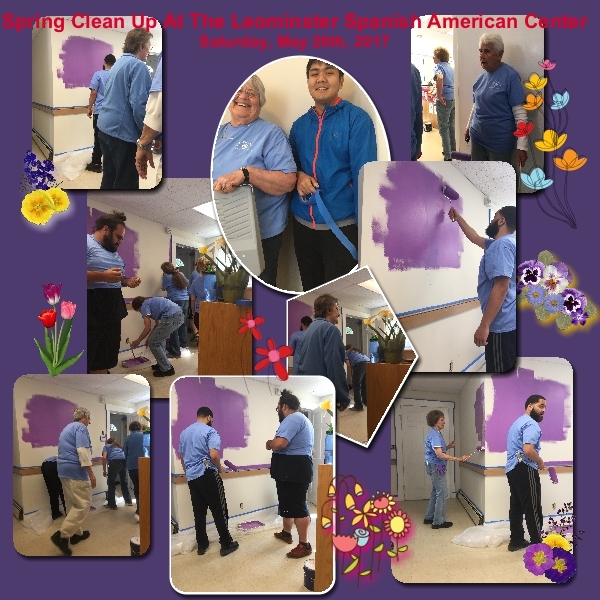 On a beautiful Saturday in May, 2017 some special friends volunteered their time, skills and labor to help the Center continue to present a welcoming feel by painting, gardening and cleaning! 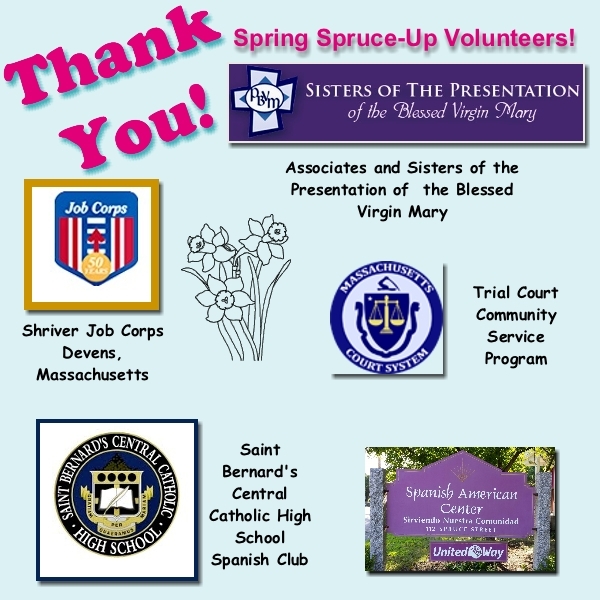 Special thank you to The Sisters and Associates of the Presentation of the Blessed Virgin Mary Service and Outreach in Leominster, Shriver Job Corps student volunteers from Devens, and St. Bernard’s CC High School students from Fitchburg (Spanish Club) and volunteers from the Community Services Division of the Massachusetts Trial Court. Thanks to Neddy Latimer and Christina Gonzalez from SAC, as well the Kitchen Cooks and volunteers who prepared a great breakfast and luncheon. 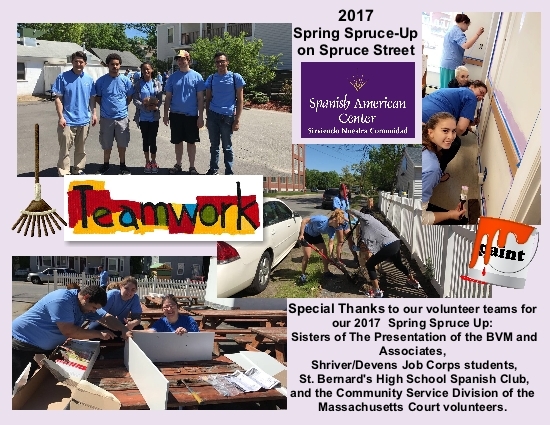 Sister Mary T. Naccarato, PBVM, thank you and your angels on earth Associates of the Sisters of the BVM for everything you did to make the day a success! 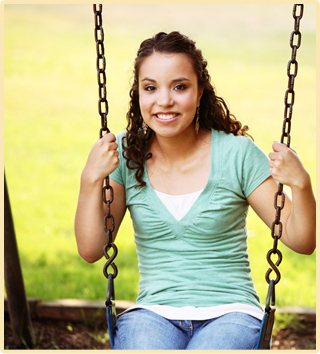 Here is a link to video/pictures of volunteers on the SAC’s Facebook page.